Solomon Mahlangu Scholarship Fund invites qualifying students to apply for 2018 Bursary Programme. CLICK HERE to download application form for postal/email applications. In its quest to address the challenge of youth unemployment, access to education and shortage of scarce skills, the National Youth Development Agency (NYDA) is offering the scholarship to youth under 35 years of age to give them an opportunity to study at public universities or university of technologies across South Africa. 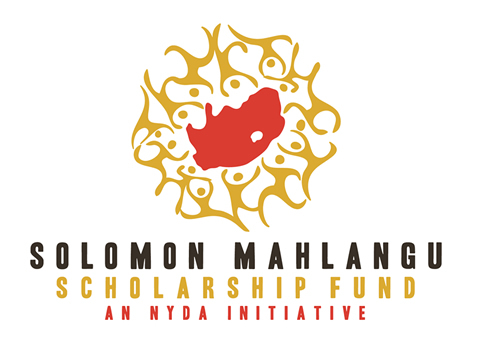 To support this new strategic focus, the NYDA established the Solomon Mahlangu Scholarship Fund (SMSF). The Fund seeks to avail financial support to youth to enable them to pursue quality education in an institution of higher learning with youth in rural areas as primary target. The scholarship fund was established in honour of Solomon Kalushi Mahlangu who at the age of 23, was executed under the apartheid laws after being wrongfully accused of murder and terrorism. Fearing crowd reaction at the funeral, police decided to bury Mahlangu in Atteridgeville, Pretoria. The scholarship fund is designed to create an environment for affording youth with excellent academic background, an opportunity to further their studies. Financial support will be provided to youth who pursue full-time degrees that fall within the priority growth sectors, critical and scarce skills areas outlined in the labor planning frameworks of the country. 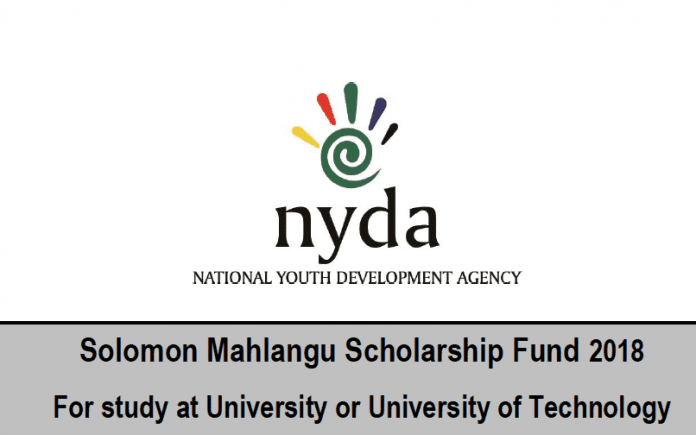 The fund will be accessible to deserving South African youth who meet the minimum entry requirements set by the NYDA and, who have been admitted for study at public Universities and Universities of Technology. You can apply with your Grade 11/ Grade 12 mid-year results but certified copy of matric certificate has to be received before the 16th January 2018, for both online and postal/email applications. PLEASE NOTE: Application does not automatically mean acceptance; a commitee will make the selection of students to be covered by the scholarship programme.